“The strategy that we are launching today will shape the energy sector in Dubai over the next three decades. It aims to provide 75% of the emirate’s energy through clean energy sources by 2050, reflecting our commitment to establish a sustainable model in energy conservation which can be exported to the whole world, and support economic growth without damaging the environment and natural resources. Our goal is to become the city with the least carbon footprint in the world by 2050 ” Mohammed Bin Rashid said. Dubai is directing toward clean energy and making the city the lowest carbon footprint in the world. The strategy with ambitious goals and clear pillars Dubai Clean Energy Strategy aims to provide 7% of Dubai s energy from clean energy sources by 2020. It will increase this target to 25% by 2030 and 75% by 2050. The first stage in strategy was to encourage houses/ buildings owners to install the solar panel system in their rooftop to generate clean energy that can reduces electricity bills over lifetime of the system, reduces their carbon footprint and produces no air or water pollution and no greenhouse emission. Unfortunately, this facility only available for customers who have houses with rooftops and can allowed to do changes in the house (in case of renters). So, apartment owners or renters can’t enjoy using green energy to save their bills and save the environment. So, our idea “Adopt my panel”, will enable those customers to enjoy Shams Dubai services without the need of making any changes in their house. 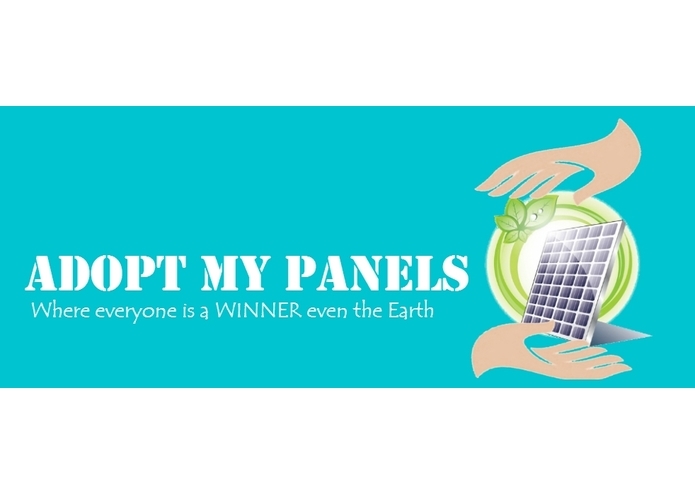 Adopt my panel is a service allow apartments owners or renters to install Solar system and get electricity bill reduction. DEWA will help them to find a locations or buildings – which are usually owned by the country like a Masjid (Mosque), Street lamps, remote buildings etc… that can match the power reduction amount they want, and which match their budget. Once the plan is proved and the panels are installed, the power generated from the cells will be measured monthly and a ratio will be subtracted from the customer’s bills. Updating the idea and answer all the questions and depots about the idea to make it more attractive and convince the judges. We learned how to work as a team, and how to do brainstorming to find new ideas. We learned also, how team members can complete each other since always there is something new that can be added to the team and support it.